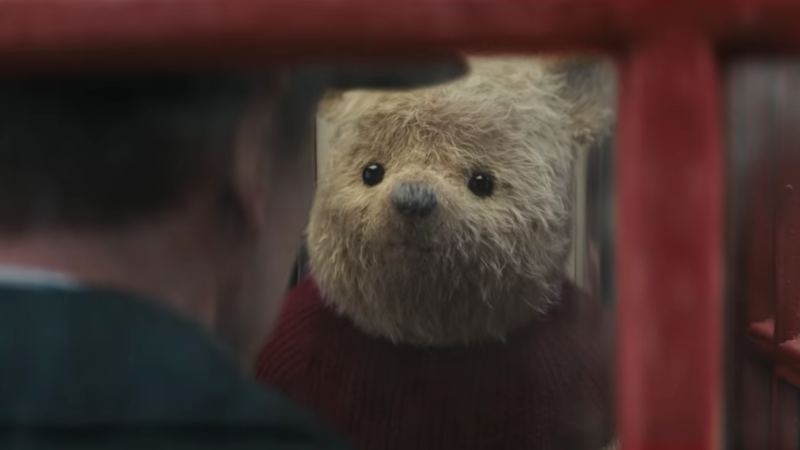 Disney has released the latest trailer for Christopher Robin, which stars Ewan McGregor as an older version of the titular character who’s had to replace playtime with work hours. He’s fallen into the “I have to work so I can’t be with my family” trope, with Agent Carter’s Hayley Atwell taking on the role of the beleaguered wife. But given how the original series was about a little boy and his imagination, it makes more sense here than it does in other movies. Everything changes when Christopher comes across “POOH?!? !” in the middle of London, who’s on a mission to find the rest of his friends. Some funny hijinks ensue as the adorable bear tests Christopher’s patience and engages in some playful banter with other London residents. That poor guy, he was not ready to have a one-on-one with a talking stuffed animal. This movie may be family-friendly, but it’s definitely going to strike a different chord with adults than it will with kids. Kind of like Toy Story 3, it’s hard to see the realities of adulthood come face-to-face with the childhoods that were sacrificed along the way. But with iconic voices like Jim Cummings (Winnie the Pooh and Tigger) back to remind us of what we once had—and others like Brad Garrett (Eeyore), Toby Jones (Owl), Nick Mohammed (Piglet), Peter Capaldi (Rabbit), and Sophie Okonedo (Kanga)—it can help us rediscover and find joy in the simple things. Everyone could use a little playtime.